Thanksgiving day usually means spending time with family and friends, bountiful meals, parades, and football games. Although the origin of Thanksgiving is debated from time to time, Thanksgiving continues to be about giving. An increase in giving to those less fortunate, and participating in activities that benefit others. 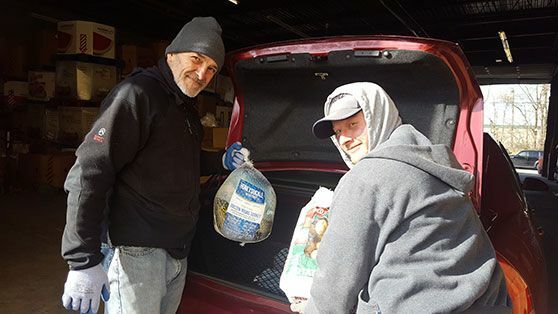 At the Capuchin Soup Kitchen, the giving of turkeys for Thanksgiving could provide a time for a person to spend time with family and friends, perhaps watch a football game, or see the Thanksgiving parade. The person being given to can become the giver by offering what they do not normally have to give.